The Play2win team strives to secure your confidentiality at all times. At play2win we take your security seriously and we strive to keep both your personal data and your financial information safe and confidential. We follow security protocols to the letter (like encryption technology) to make sure that all your bank transactions will be carried out in a safe way. We never disclose any of your personal information to third parties. The play2win team uses state-of-the-art technology to transfer sensible confidential data over the internet. Moreover, we can assure all your financial transactions and information are being dealt with different encryption technologies. We also store and back up all your personal information on safe servers. These servers are kept secure by the use of fully-fledged firewall systems. So, you can securely carry out any financial transaction with us because all your date will remain safe and confidential. 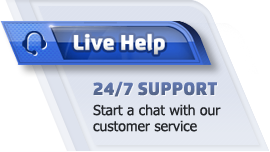 Please, contact our Customer Support Staff 24/7 should you have any doubts with regards to any of our security policies. Our staff will gladly assist you any time you might need it.